Remember how those banner ads on Google search results page used to irritate? If you have noticed, Google has stopped displaying those ads. Whatever your query is, Google used to show links of sites that have paid to display ads in search result. You were smart enough to avoid those Google ads and click on links below them as it was easy to distinguish paid results from unpaid once. But now Google has redesigned its search result page. If you see carefully now, Google has ditched that big yellow highlighted text showing up advertised result. Now, those paid links are still in the result list but with a small yellow button saying ‘ad’. It is going to help Google lure visitors to those paid links as it is very difficult to guess the difference. For example, see the image below. You can spot that small yellow button which is not possible for regular user to spot. It is not harmful for use in any way. In some cases, one might land on better site by clicking on those paid results but it might not be the case every time. 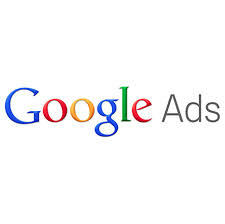 However, if you consider from Google’s point of view, this is beneficial for both users and the search giants. Google’s major income source is advertisement and making this small but noticeable change in Google search results is going to take more and more users towards paid links. Users have spotted changes in Google search results on platforms apart from Desktop. However, the change is rolling out now and soon you will spot the difference in your Google search results page. Do you like what you see? Let us know in comments below. Stay tuned with us on Facebook to know more about developments in the field of technology.